Q: How large of a pump can I plug into the A.T.O.? A: The A.T.O. receptacle will handle pumps up to 2 amp capacity. Q: Can the Audible Alert be turned off? A: Yes, it can be turned off if the "Speaker Buzzer" is removed from the circuit board. Q: Why does my A.T.O. automatically shut off after a few minutes of operation even though the water level has not reached the float sensor? A: All A.T.O. Controllers have a factory "Float Fail-Safe" duration time period of 3 minutes and 45 seconds of operation before power to the pump is turned off. The Pump LED will glow but power to the pump will not be turned on. This feature was designed to act as a safety mechanism in the unlikely event the float sensor(s) failed or if something was to get stuck in between the sensor(s). You will have to reset the float sensor(s) to restart the controller. Q: Can I adjust the "Float Fail-Safe" duration time period? Some people say not to buy an ATO with float sensors. They say that float sensors will eventually fail - a snail will get stuck in one, it will get clogged up with algae, etc. Does not come with a pump, Must and I mean must maintain the float switch set up or the salt creep with interfere with their performance. 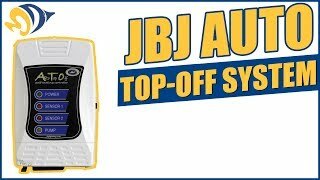 I have had my JBJ ATO for 8 years. I used it first on my solana 34, then migrated to my 60 cube. I sold the 60 and it went with it. Runs forever. Still works but replaced for age. Owned one for over 10 years and never failed. On top of that only used a 1 float design not two. 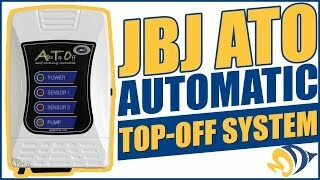 This is the second JBJ ATO system that I am purchasing. The first one last 8 years and worked flawlessly. I think the microprocessor unit finally stopped working. It's so simple and very reliable. 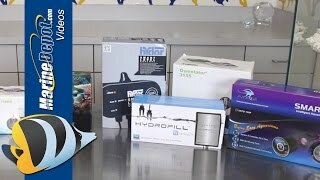 When you have a stocked reef tank, you only want simple and reliable components! !